The smartphone comes with a 5.5 inch full HD display and Qualcomm Snapdragon 650 processor. The battery comes with 4050 mAh and runs MIUI7 with Android 5.1 Lollipop. “There will be 2 versions of the phone – a 2GB RAM with 16GB internal storage and a 3GB RAM with 32GB internal storage,” informs Vaikundarajan. It comes with a dual-SIM support. As for the camera, the rear camera has 16MP while the front camera has 5MP. The two phones will be priced at INR 9999 and INR 11999 respectively. The competition in India has been growing steadily. To lead the smartphone race, companies must stand out by providing unique features. 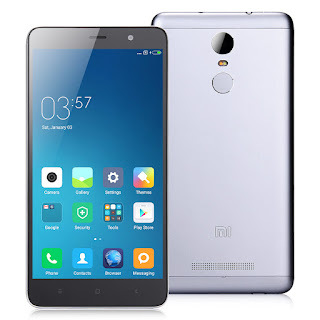 Redmi Note 3 has a full metal-body design. Its display is vivid and crisp. The battery can last up to 24 hours or more for moderate to heavy usage. “Considering the cost of the smartphone, these features do stand out. It will be interesting to see if Redmi Note 3 can rule the market despite the fierce competition,” concludes Vaikundarajan.